Lia bit the hand that pulled the bag off her head. Something yelped, but didn't strike her. Instead it set her gently on the ground and backed away. "I'm Nira," it said softly. "And I'm sorry we had to meet this way." Lia stared up at a cat-like person and decided it was a girl. Three more of cat-people stood warily by, as if they felt threatened by the tiny girl glowering at them. Boys, she decided. They had manes. "I want to go home!" Lia shouted, startling all of them. "Have you ever seen the ruins on the mountainside?" Nira asked. Her golden fur was decorated with black spots. Blue-stone jewelry dangled from her pointed ears. And the whiskers around her pink nose quivered even when she wasn't talking. "What are you?" Lia demanded, looking around. They appeared to be inside a cave. Torches hung on the wall, and blankets had been laid out over the red-dirt floor. "Haven't you seen a nacatl before?" Nira seemed surprised. "We're Sunstrikers. 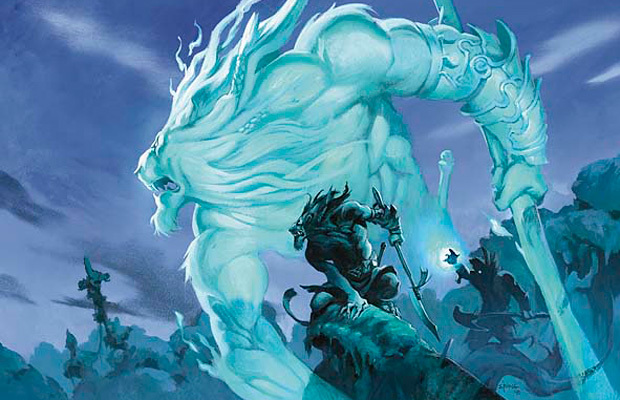 Our pride is loyal to the great teacher, Ajani. It's our sworn duty to keep his lands safe." "These aren't his lands," Lia said petulantly. "The demon that lives in the ruins is a threat to us all, no matter where we call home," Nira replied. "Please?" Lia said. "I want to go home." The Sunstriker looked over her shoulder, as if hoping her companions could make this easier. They said nothing. "The demon is harvesting the bones of creatures for a ritual. . ."
"Ritual?" Lia asked in confusion. "He's killing countless creatures just to give himself more power," Nira explained. "We've been hunting him for a long time. Many of our pride have died, including most of our mages. He's taken your village, which I didn't expect to happen so quickly." "Taken them where?" Lia wondered if the demon had the green-eyed girl, and then felt guilty for thinking it. "To the ruins here in the mountains," Nira told her. "If you don't help us, they will die. I wish you didn't have to hear that, but it's the truth." Lia thought of her father and how tall he was. She couldn't imagine anything that could hurt him. "Let's go see my father. And my mother is a mage. She helps people all the time." The Sunstriker looked sad. "You must help her. Your family is at the ruins, too." Lia hugged her knees and wondered why she didn't feel anything. This all seemed like part of a bedtime story. A cat that could talk. A demon in the mountains. Surely Nira was wrong. Her family was safe in the cottage, waiting for her. "We must attack before the demon completes the ritual," Nira said. "For my plan to work, we need a stonekiller, and ours have all been killed." "What's a stonekiller?" Lia asked. "You are," she replied. "I watched you by the river. You'll be a powerful mage one day." "Breaking pebbles isn't very useful," Lia said doubtfully. "Today, you break pebbles. Tomorrow, you will smash walls. Someday, castles might crumble in your passing." Lia stared at her with awe. Lia galloped by on her white horse, and Eos Castle tumbled to the ground. Nira unsheathed her sword. With the tip of the blade, she hurriedly drew in the red dirt. Lia watched her curiously. "Like you, a dragon has a spine," Nira told her. "But unlike you, some dragons have a large plate that connects to every rib. It's also where the wings attach. We call it the keystone." "Keystone means something important," Nira said. "If you destroy this plate, the skeleton will fall. And then the ritual can't be finished." "You want me to kill a dragon?" Lia whispered. She didn't want Nira to think she was weak, but she didn't want to disappoint her either. Instead of answering, Nira sheathed her sword and took Lia's tiny hands in her own. "Can you climb?" she asked gently, inspecting Lia's curled fingers. "Better than the other children," she promised. "What is your name?" Nira asked. "Among my people, a warrior receives a new name before her first battle," Nira said. "May I give you yours?" Lia nodded. She couldn't believe what she was hearing. Her, a warrior? "In my language, kaa means 'power,' Nira said. "You are now the warrior, Kaa-lia. You will kill the keystone. And you will bring your family home." 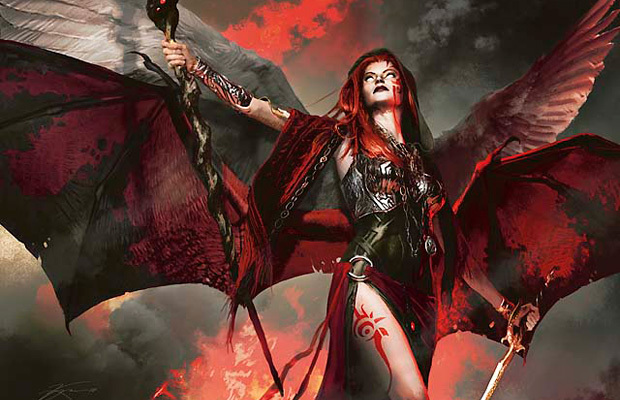 Just before sunset, Kaalia lay beneath a dead tree on the ridge overlooking the arena. Except for Nira, the ragged band of Sunstrikers had already disappeared into the trees. They would circle around and launch their assault from a different direction. Kaalia stared down at the frenzied scene in the valley. She tried to rehearse Nira's instructions, but her thoughts felt like they were moving too fast. The pointless slaughter of innocents must stop. The hellkite's skeleton was like a horrible house. Kill the keystone, destroy the skeleton. The dangling bones swayed in the breeze and made hollow, rattling music. Destroy the skeleton, stop the demon. Kaalia whimpered, but Nira didn't move. She was watching the scene below intently. Stop the demon, bring your family home. As the sun disappeared behind the dark mountaintops, a line of black-clad people shuffled silently into the arena. Strips of black cloth crisscrossed around their throats. Kaalia didn't see her family, or anyone from the village either. "Those are his servants," Nira whispered. "They want to be here?" Kaalia was horrified. She could smell a horrible stench coming from the ruins. How could anyone want to be there? "They might be controlled somehow," Nira said, as a flash of red light blinked from the ridge across the valley. "That's our signal," Nira whispered. She grasped Kaalia's hand, and the two scurried down the overgrown slope, through a gap in the crumbling wall, and crouched behind one of the massive ribs. They were only a few feet from the main floor, and Kaalia realized her teeth were chattering with fear. She clenched her jaw as the servants formed a circle around the hanging bones. Kneeling, they held out their hands with palms open to the night sky. An emaciated bald man wrapped in tattered furs strode to a platform on the northern end. 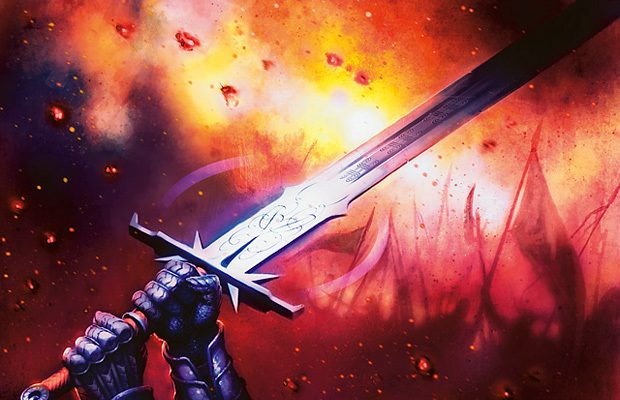 He was grinning, but it was a toothless, wicked smile that made Kaalia shudder. During an earlier reconnaissance mission, Nira had discovered pockmarks along the outside curve of the rib that would allow them to climb it and stay out of view of the floor. 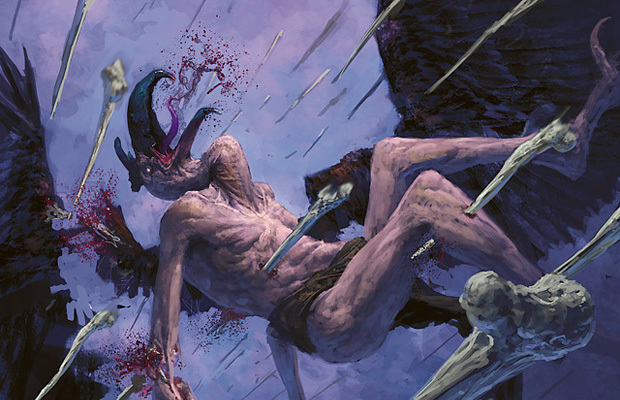 But just as Kaalia put her foot on the first notch, the ground bucked violently. The servants shrieked with glee, and the sound of their laughter made Kaalia feel sick with fear. "Let's go," Nira urged. "We have to hurry." As Kaalia climbed, the rough surface scratched her hands. The servant's chants grew louder and more demanding. A thunderous boom shook the earth, and the servants shrieked in pain. Their palms had simultaneously split open. Droplets of blood began to cascade upward into the sky. Kaalia looked down at Nira in horror. Skin couldn't rip open on its own. Blood didn't rain up. "If you destroy the keystone, the bones will fall," Nira encouraged her. "All this madness will end." At top of the rib, Nira leaped onto the spine first and helped Kaalia up. A strong wind seemed to rush in from all sides, and the bones swayed precariously under their feet. At Nira's direction, they flattened themselves on the walkway as sickly fumes began to rise from below. The bones were sharp against Kaalia'a belly as she inched toward the keystone. Out of the corner of her eye, she saw the other Sunstrikers fighting through a mob of armed men to attack the bald man on the platform. In his haste to escape the Sunstrikers, the bald man scampered up a ladder up to the walkway. At the top, he caught sight of them and howled with rage. Nira leapt to her feet. Nira drew her sword. "Do it now!"" she ordered Kaalia. Kaalia crouched in front of the keystone. Her feet kept slipping between the gaps in the spine. I'm going to fall. Just inches below her, the hanging bones undulated with magic she couldn't comprehend, fusing together and then falling apart. It was hypnotizing. Kaalia didn't want to look away. If I look away, I'll fall. "Kaalia!" Nira shouted. She pounced at the bald man, but he dodged her strike and countered. Nira raised her sword to block, but the force of his blow almost knocked her off the walkway. For a leathery scrap of a man, he was unnaturally strong. 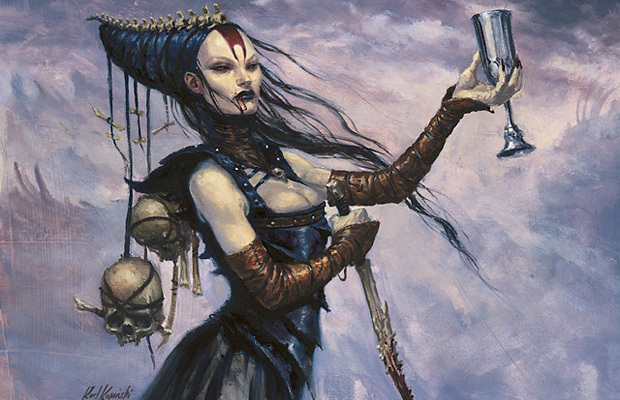 Kaalia tore her eyes away from the mass of bones below her. But she felt jittery, terrified. How could she make her mind calm, like it needed to be when she broke pebbles? "Shut out the world!" Nira screamed. "Pretend you're somewhere else!" 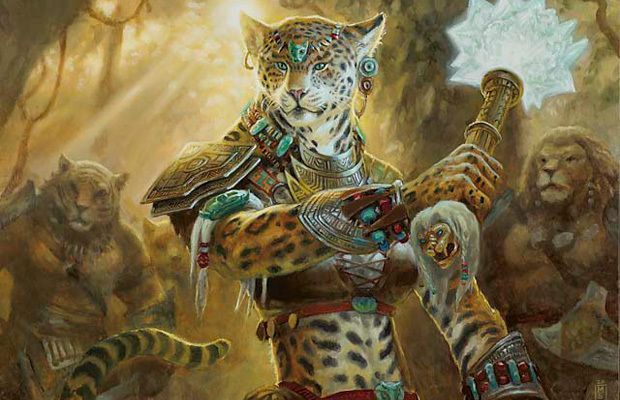 Kaalia pressed her hand against the smooth keystone, closed her eyes, and wished she were by the river again. Bant had been a vast realm. A beautiful land of floating castles, seas of grass, and the bluest skies you can imagine. Under her fingers, the keystone grew warm. It was a crisp autumn day when Eos Castle was besieged by horrible creatures. Kaalia imagined the sparkling river rushing by her bare toes. They broke through the wall! There was rippling sound, and then her fingers felt only emptiness. Lia galloped by on her white horse, and Eos Castle tumbled to the ground. 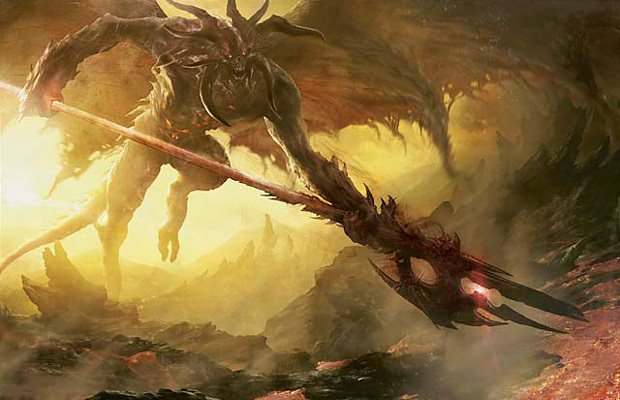 When Kaalia opened her eyes, the keystone was gone and a gaping hole nearly bisected the spine. Triumphantly, she called out to Nira, but rough hands yanked her off the walkway. The bald man was shaking her and screaming in her face. Behind him, Nira was struggling to her feet. Blood matted the fur on the Sunstriker's head. "You rat!" the man screamed. "You're the final number! Your blood will light the fuse!" And he threw her off the side. With cat-like grace, Nira leapt after her. 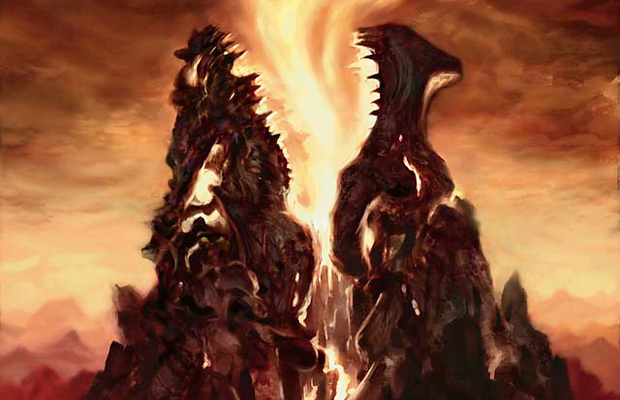 In mid-air, she encircled Kaalia in her arms and they fell together. Just before they landed, Nira twisted her body so she cushioned Kaalia's fall. Above, there was a loud crack as the spine snapped. The bald man hung on for a moment before the hellkite's ribcage split in half and crashed down. His body slammed against the floor with a sickening thud. 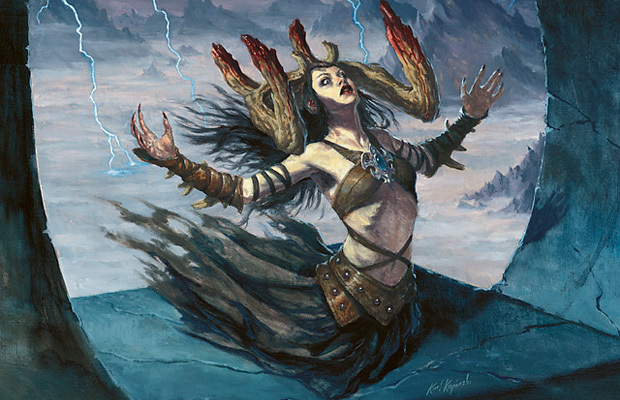 Bones clattered to the ground, raining down on Kaalia as she desperately tried to tend to Nira. Kaalia's vision spun dangerously. "Nira!" Kaalia sobbed. "We stopped it! The skeleton fell to pieces." "Well done, little warrior," Nira whispered. "Now flee from here. The rest of us are lost." A blast of energy radiated out of the ground, which split open and left a jagged scar across the arena. Bones and bodies flew like feathers in the wind. 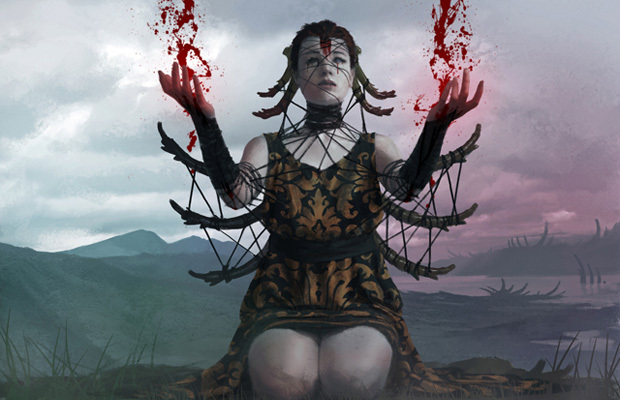 Kaalia slammed against the arena wall, frantically shielding her face from the debris that tumbled around her. He arose from the rift that now cut across the floor. His wings cracked and snapped as he ascended slowly into the night sky. It was as if the entire world has narrowed to a single point—him. He whipped his blade through the air, and the screams of the dying echoed through the valley. Fighting for consciousness, Kaalia glimpsed an image of the Sunstriker's face swirling in the smoke above her, and then the world went black. When Kaalia awoke, a weak sun was rising in the east, casting a white pall over the devastation around her. Nothing moved amid the wreckage. There were no sounds except the distant hum of locusts. The bodies scattered among the wreckage were charred beyond recognition. Across the valley, half of the ridge was gone, with just a smoking crater in its place. The demon had escaped. She knelt beside the last place Nira had laid. Kaalia felt empty. Like her insides had been ripped out, and there was just shadows left instead. I'll kill the demon. I don't know how yet, but I'll find a way to make him suffer. Out in the vast wilderness, that is where she would find her revenge.